EPR SF: Tonight! Mardi Gras at EPR! Tonight! 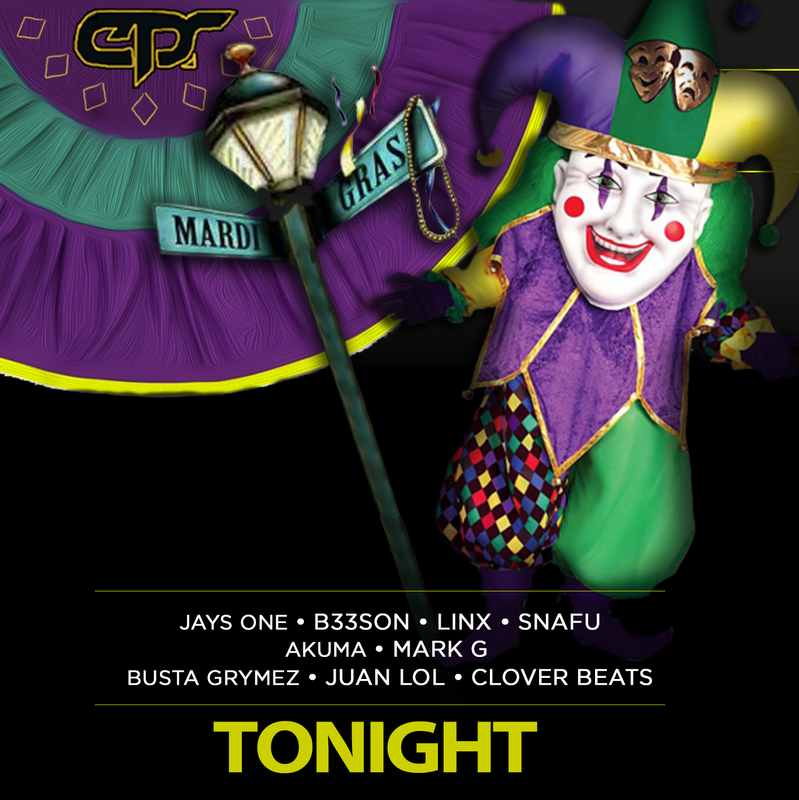 Mardi Gras at EPR! We're at 715 Harrison St, San Francisco, CA tonight. Doors open at 9 pm. Wear at least 50% Mardi Gras colors (yellow, purple and/or green) and get $5 off before 11 pm!